Car Wash - SPA is an interesting arcade game developed by gameflare.com. In this game, your task is to wash the cars. Your customers need the cars to be cleaned and you’ll be the one to help them with that. I’ve played this game many times because of its unique gameplay and I hope that you’ll enjoy this game. Hurry up, the customers are waiting for you to wash their cars. At the start of the game, you select a car. Once you do so, you’ll enter the clean-car mode. First, you use a faucet to spray water on the car. Then you scrub soap over the entire car. After that, you again use water to cleanse the soap in the car. Finally, you use a giant dryer to dry out the water in the car. Note that on the right of the screen, the process bar is shown and you’ll need to fill this bar to complete your mission. After the car is cleaned, you’ll then use a polishing machine to polish the car. Note that you need to completely fill the process bar before you can reach this step. You can also paint the car for the client in 1 of 10 different colors as well as add a sticker on the car and pick some nice wheels for it. Good luck and have fun! 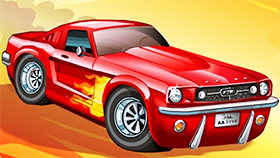 After completing the game, you can choose a background and take a picture of the car. You can take all the time you want when playing the game because it has no time limit. Use your creativity to decorate the car however you want and make it look as cool as possible. 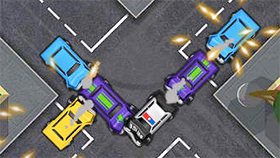 Car Wash – SPA Unblocked is an interesting arcade game, and you can enjoy it at freegames66. This is a great website for anyone that likes playing unblocked games. With over 4000 different unblocked games, you can play your favorite unblocked games here, all for free. Now, enter The Upside Down Show Unblocked, wash the cars and decorate them however you want. Play now!